I have never owned or worn colored tights before in my life-I know I’m so not a fashionista! When I saw these SPANX Tight End Tights in Bistro Green in my Lucky FABB Conference gift bag I knew I had to cut the safety cord to my black tights and be brave. I’m glad I was brave because I’m so in love! These tights are amazing! They pull everything in just the right way but are more comfortable than the normal shapewear. 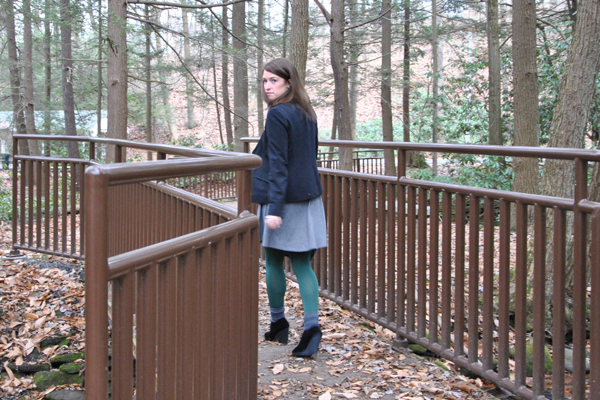 I love how you can change a whole outfit with just a simple pair of colored tights. I think I’m going to be addicted…now I need to plum ones. 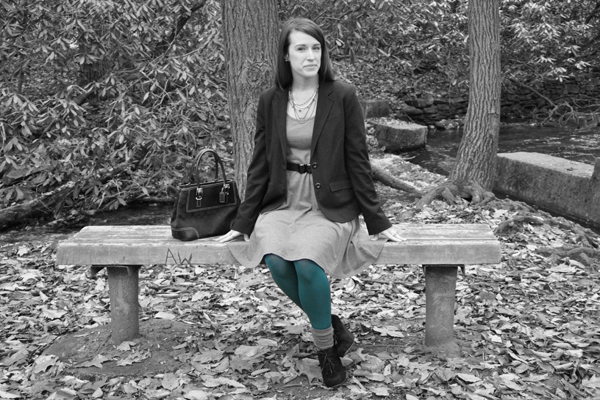 Are you a fan of colored tights? Less than 1 day away from Thanksgiving turkey, stuffing, mashed potatoes, lasagna, and so much more! Are you hungry yet? Oooh - those green ones are pretty...now I want them too!